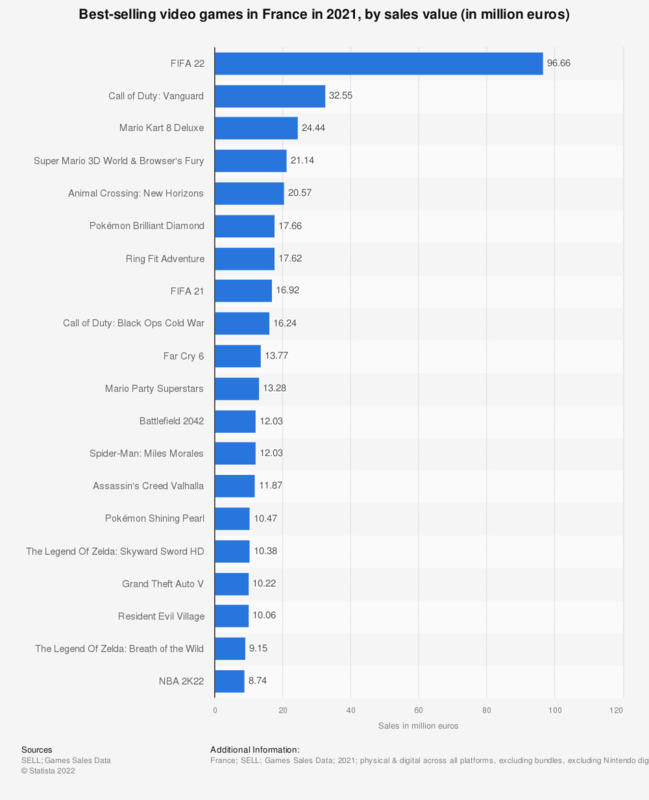 This statistic represents the ten best selling video games in France in 2017 in terms of sales value, broken down by platform. That year, FIFA 18 for the PS4 generated over 55.6 million euros in sales value whereas the same title for the Xbox One reached nearly 11.8 million euros. This ranking concerns the physical market for console software and PC games.